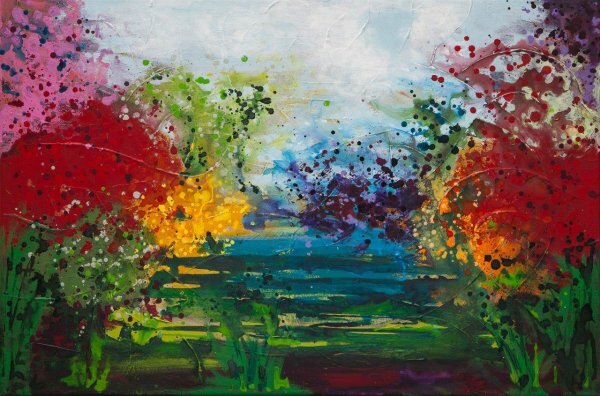 I am hugely inspired by vast landscapes and great swathes of colour in the landscape formed by flowers of all kinds. If I can't find an image to inspire me I create a panorama from my imagination. Most of the paintings here were inspired by actual landscape but some of the larger paintings were a development of those.